The story of the migration of people from the Punjabi region of South Asia to the United States is a great American success story. 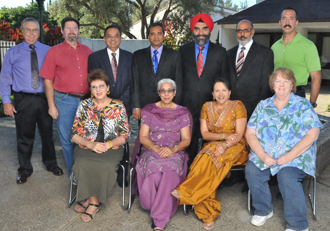 The Punjabi American Heritage Society’s permanent exhibit, “Becoming American,” detailing the history of the migration from South Asia and the success of Punjabi Americans in California, is a great gift to the community. In the images and words of this exhibit, generations will learn of the perseverance of a people who rose above discrimination and violence to create new opportunities for themselves and their families; how early Punjabi immigrants worked building roads and railroads, contributing to the important infrastructure of California; of people who pooled resources to establish prosperous farms and orchards; and how places of worship played an important role in the social, political and spiritual life of Punjabi Americans. The Sutter County Board of Supervisors is proud to be part of bringing this exhibit to the Community Memorial Museum. It is our sincere hope that generations of Sutter County residents will enjoy the exhibit and develop an even broader understanding of our County’s great history. Congratulations to the Punjabi American Heritage Society, its members, and all those who have contributed to this project. 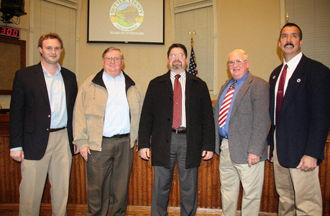 From left to right: Board of Supervisors Chairman James Gallagher (Fifth District), Larry Montna (First District), Stanley Cleveland Jr. (Second District), Larry Munger (Third District), and James Whiteaker (Fourth District).